The World at large has suffered massive inhuman acts of violence, terrorism in the name of Islam. There are many glaring insane, cruel acts which cannot be forgotten and condoned in any way. Be it the killing of nearly three thousand innocent people in the attack of 9/11 (which was upheld by Osama bin Laden), the attack on Peshawar school children, the abduction of schoolgirls by Boko Haram, attack on Charlie Hebdo, the violence by ISIS, all are equally condemnable and global society has to put its head together to stop this insanity. Since 9/11 again, a new phrase has been coined, ‘Islamic terrorism’, associating Islam with terror. It is true that this Islamist terror has been very persistent and is a cancerous phenomenon. An impression has been created due to these incidents that this violence has something to do with Islam. The same has been strongly propagated by the US media to begin with and later other media also picked it up. Simply speaking if these acts have anything to do with Islam, why they are occurring more in the oil rich countries? Adding to this misconception various writers have come with the thesis that reform in Islam will cure the problem. 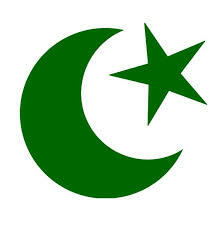 Some say that there is a need for ‘religious revolution’ to purge Islam of extremist tendencies. It’s pointed out that Islamic fundamentalists, those indulging in terror have come to dominate and so reform in Islam will ensure the end to violence. The question is who gives power to fundamentalists to shoot down the peaceful interpretations of Islam, is it Islam or some politics behind the mask of Islam. One concedes that what is going on is one of the most horrendous phenomena in the history of human kind and it must be condemned and uprooted. While Islamist terrorists are holding the humanity to ransom, we need to go beyond the obvious to understand this phenomenon, how it has come up and who is behind it. We need to ponder whether theoretical reform can hold forte in the face of ‘politics of oil’ supported and secretly operated by vested interests to achieve their goals by any means. As such the political context, which gives birth to these violent tendencies in the name of Islam, needs to be unraveled. There have been brilliant, humane interpretations of Islam by the likes of Maulana Wahiduddin Khan and Asghar Ali Engineer; precisely around the time when the terrorists have been morphing from one area to another, executing one or the other horrendous acts of terror. Why these interpretations of Islam are not in the mainstream? Fundamentalists with their version of Islam have held the sway with inhuman acts and violent versions of Islam is stalking the streets. At the same time the voice of liberal-humane versions of Islam is in the margins. The books elaborating different meanings of the Quran, the movements for rationality are very much there but these are not the one’s which are acknowledged by the terror factories created by the politics, which aims to gobble up the ‘oil wealth’ to quench ‘oil hunger’. What is argued by some is already there in the Islamic domain, the humane version of Islam; question is that this rationalist-reform version has been having insignificant impact due to extraneous economic-political factors. The dominant political forces pick up and discard interpretations of religion to suit their political-economic agenda. The verses of Koran have to be seen in the particular context, as putting the text out of context is what the critics do. We refuse to see the political motives which are lying not so hidden under the mask of Islam. Thus while some Muslims may be living in denial mode for sure; the problem is not within religion. Problem is use of religion for the sake of power and wealth. The core point is to understand ‘the genesis and enfoldment’ of fundamentalism-terrorism in the name of Islam. Today how come ‘killing the kafirs’ is the buzzword while Islam’s ‘All men are brothers’ and ‘Islam means Peace’ lies in the by lanes of Islamic domain. Today’s terror acts have their genesis not too far ago in the politics of control over oil wealth of West (Central) Asia. While US supported-encouraged the creation of Al Qaeda, the Wahabi version of Islam came in handy for the Madrassas set up in Pakistan to create the ‘Jihadis’, to ally with armies taking on the Russians occupying Afghanistan. US equipped the Al Qaeda with 8000 million Dollars and 7000 tons of armaments, which also included the latest Stinger missiles. It was the progenitors of Al Qaeda who were presented by US President Ronald Reagan as the moral equivalents of America’s founding fathers, in a press meet in White House. The overthrow of the democratically elected Government of Mossadegh (Iran 1953) led to the chain of events which paved the way for the violent interpretations of Islam being brought to the forefront and the liberal human versions being undermined. In the area; where Maulana Rumi put forward; ‘Peace and Love’ as the central doctrines of Islam (Sufi version), how come the Wahabi version is ruling the roost? The Salafi versions of Islam was put forward nearly two centuries ago; how come it was picked up as the Islam in these Madrassas just few decades ago? The version of Islam used by those involved in the business of killing and mindless violence was deliberately brought in for political goals to be sure. If we have a slight peep into history we can see that religion has been used as a mask for goals of power throughout history. Kings doing Crusade, Jihad or Dharmayudh abound. During colonial period it was the declining sections of Landlords-Kings (Hindu and Muslims) in India which came together to form United India Patriotic Association (1888), the parent organization from which Muslim League and Hindu Mahasabha emerged in due course. These communal formations resorted to hate propaganda which led to intensification of communal violence. The Nawab of Dhaka and Raja of Kashi were the founders of these organizations. So do we attribute ‘religion-Hinduism and Islam’ as causative factor for the formation of these communal organizations or should we attribute it to the political context where the feudal lord-kings were declining and resorted to versions of Islam and Hinduism to safeguard their political interests? Currently in South Asia, we can see similar use of Buddhism in Myanmar and Srilanka where violent groups are formed in the name of Buddhism. In current times if we see a bit closely; the Islamist terrorists came up primarily in the oil zone and not in the most populous areas of Muslims say Indonesia for example. The cancerous seeds of terrorism were planted with the motivation of the economic goals of the superpower thirsting for oil, and not by any religious preacher. In present case Maulana Wahabb’s interpretation which was already there dormant in the deserts of Saudi Arabia was refurbished and ‘used’ to create the present dread. The primacy of political context can be missed only at our own peril. It is the political powers and vested interests who choose which version of religion to pick, which will suit their goals the best. We should see that there are those opening girls’ schools citing the importance of knowledge in Koran, and there are those gunning for the girls going to schools in the name of Islam again. The terrorist groups don’t debate on the versions of their religions, the few phrases put in to their heads during the process of indoctrination is what converts a sensitive human being into the gun or bomb wielding beast. The likes of Anders Behring Breivik, who shot 86 youth in Norway, are also not inspired by the teachings of Christ. Similarly belonging to same religion, a Gandhi will go out and make non violence as the central creed of his teachings while another Hindu Godse will pump in three bullets into his chest, in the name of the same religion. Where is religion involved in the process? The present set of Islamist terrorist is the outcome of the indoctrination done in the madrassas supported by the superpower, United States. The initial implants have gone on to spread in the whole area, where the innocent human lives are being sacrificed at the altar of political goals of maintaining hegemony in West Asia. There have been reports which show the role of US behind the ISIS militants also. The offshoots of this type of political outfits do spread here and there, but the center of gravity of the terror factory remains in the West Asia and motive being oil wealth. During colonial period the politics came in the label of religions; different religions. In these areas the colonial powers chose to let the feudal powers persist even when industries were coming up. Now since the major inhabitants of the oil rich zones are Muslims, Islam has been used for the political goals and paradoxically Muslims have become the victim of their own wealth, the black gold! You have hit the nail on the head. Oil is the true reason for today's ill. Islam's long due reformation/renaissance is being held back and the religion is pushed back to more orthodoxy by the relentless pursuit of oil (at all cost) by the major world powers. The sooner we acknowledge this, the better.